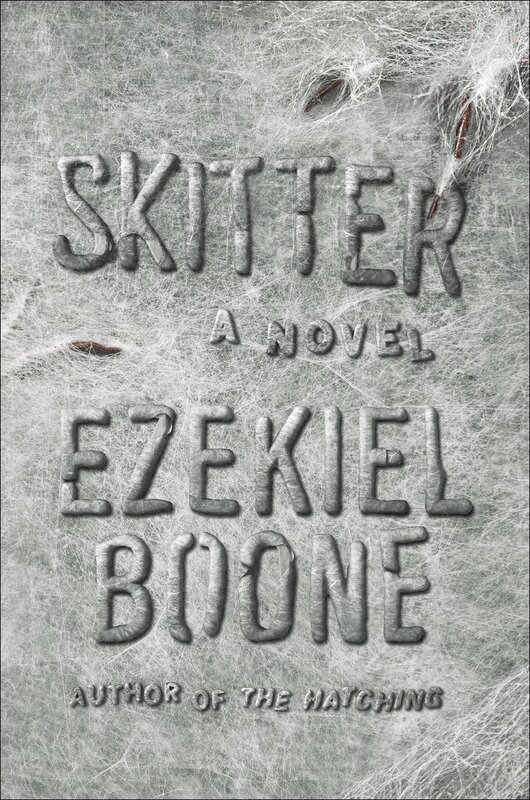 SKITTER by Ezekiel Boone is the second book in THE HATCHING Series and it is even better than Book One. THIS BOOK WILL MAKE YOU REALIZE WHY WE SHOULD BE AFRAID OF SPIDERS. If you were a bit scared of spiders before reading the first book in this series then you probably now have an extreme case of arachniphobia after reading THE HATCHING. Well, once you read SKITTER, that arachniphobia will morph into a full-blown neurosis. You might even need therapy. Seriously! I had been waiting (not very patiently) for the sequel to THE HATCHING and I was thrilled when I was able to read an ARC (Advance Review Copy) courtesy of the publisher and Netgalley. The bad news is that if you are not a reviewer like me, you will have to wait until May 2017 for this book to be released. Might I suggest that you spend some of that time re-reading THE HATCHING. 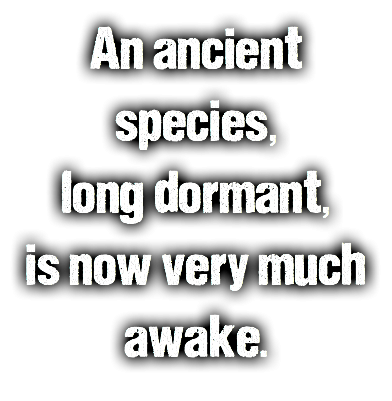 In the first book we learned that a very old spider species has awakened from their slumber and that they were hungry. A group of researchers found an old dried out egg sac and sent it to America for identification and study. That simple event seemed to trigger a worldwide awakening of spider egg sacs that had lain dormant all over the world for thousands of years. The spiders were unlike any that humans had encountered since the beginning of recorded history. They were bigger, they were meaner and they were much deadlier. Worse than finding egg sacs, people discovered (too late) that the spiders often travelled inside people who had no knowledge that they had even been bitten. Thus they spread throughout the world – much as the spread of a viral pandemic. 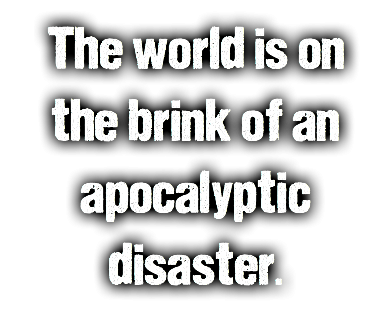 Los Angeles is deemed lost and it’s residents are quarantined as are many other cities and provinces around the world. Just as it seemed that all was lost, the spiders seemed to have reached the end of their life span and they all died off. However, they did leave thousands if not millions of egg sacs behind. Now, it seems that all that is left is the clean up and to eradicate any egg sac sites and then all should be ok. Right? Wrong! In SKITTER we learn that the threat is not over and that, in fact, that first wave of spiders was only the beginning. Something is coming. Something really bad. The question is: Can mankind survive it? You will need to read SKITTER to find out. This book may sound like a typical horror story, but it is anything but. Both THE HATCHING and SKITTER are actually a mixture of multiple genres. Yes, there is definitely a horror element to this story, but it is much more. In fact, I could argue that it fits into every category of adult fiction. I cannot wait to get my hands on the third installment of THE HATCHING SERIES. Ezekiel Boone has a lifetime fan in me! 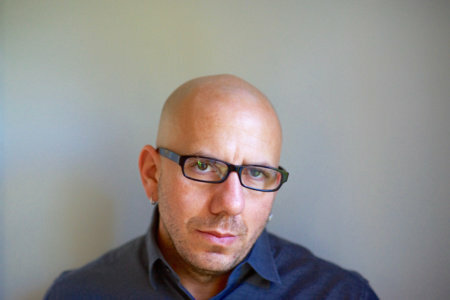 EZEKIEL BOONE is a Canadian writer who currently lives in upstate New York with his wife and children. 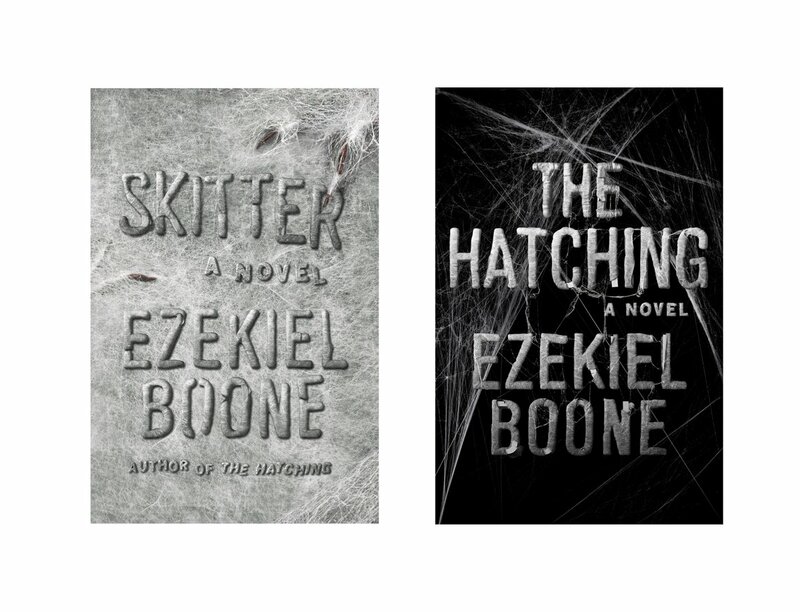 THE HATCHING is Zeke’s first thriller and the first book in the series, with SKITTER coming in 2017. THE HATCHING series has sold in twelve countries and nine languages, and has been optioned for the screen. When not writing thrillers, Zeke writes acclaimed literary fiction under a different name. Along with a healthy respect for spiders, Zeke has two poorly behaved dogs and enjoys the outdoors. 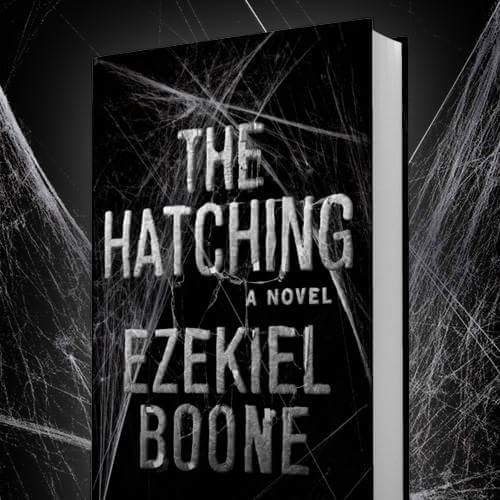 5 Absolutely Horrified Stars for THE HATCHING by Ezekiel Boone – An Utterly Terrifying Read that will justify a fear of spiders for the rest of your life. * I received a free copy of this book through the Goodreads Giveaway program. Reviews are not required, but they are usually appreciated. 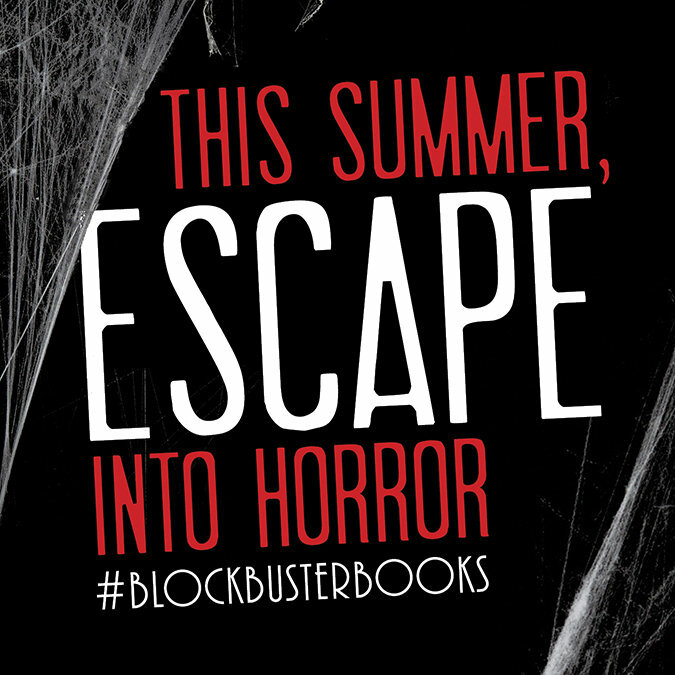 If you aren’t scared of spiders before reading this book, you will be once you reach the final page. Personally, spiders scare the crap out of me. Yes, I admit it. I have a case of arachniphobia. Speaking of “Arachniphobia,” When I read the first chapter of this book I was reminded of the movie from 1990, starring Jeff Daniels and John Goodman called ARACHNIPHOBIA. I was actually worried that this might end up being an updated version of the same storyline. But, I needn’t have been concerned. While both the movie and this book both center around spiders, this is WAY different and much more terrifying. I read quite a bit of Post-Apocalyptic Fiction, and prior to reading THE HATCHING, I thought I had read about every possible way that modern civilization could be brought to it’s knees. The Hatching proved that I was dead-wrong. I loved this book even while cringing and recoiling in both revulsion and terror at the subject matter. Do you love a good scare? Do you enjoy Horror stories? 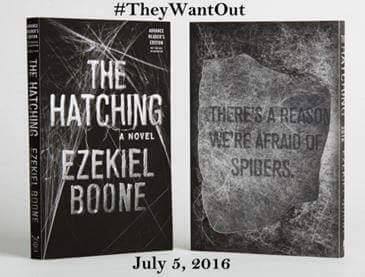 If so, then you MUST add Ezekiel Boone’s novel to your bookshelf ASAP. If you don’t find yourself checking all the dark corners of your house and under your bed for spiders after reading this book, I will be tremendously surprised. 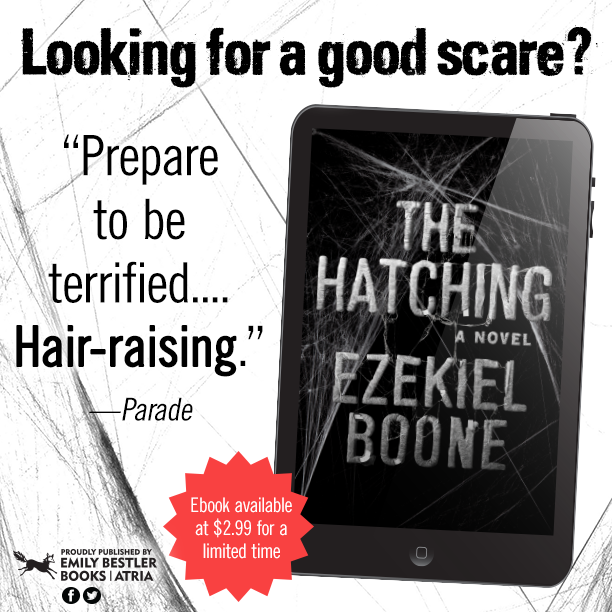 I knew there was a reason that I dislike spiders and Ezekiel Boone has made me realize that those people who used to think my arachniphobia was silly, well, those people aren’t saying its such a silly fear after reading this book. This book is one that will definitely have people talking. You don’t want to be the only one around the water cooler that hasn’t read THE HATCHING. If you do not read this book, you will be missing out. The fact that this is only the first book in a planned series has me wishing that Book Two – SKITTER was already available. However, since I do need to sleep sometime, it is probably good to give my terror levels time to get back to normal before I continue on to the next part of this series. Prior to reading THE HATCHING, I had never heard of the “Nasca Lines” in Peru. These lines are mentioned in the book and I wasn’t sure if they were a creation of the author’s imagination or if they were real. An internet search provided me with the answer. They are real! Don’t know what the Nasca Lines are? Click here for pictures and more information. I have now added seeing these Lines to my Bucket List. I find them absolutely fascinating and I can’t wait to research them further.